Reading, UK. 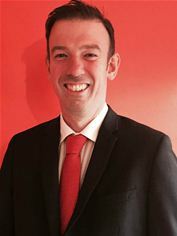 June 2nd, 2015 – IGEL Technology today announced the appointment of Michael Murphy to grow its thin client business in Scotland. Michael, with more than 12 years of Scottish and international IT industry experience, will focus on the opportunities in the housing association, public sector and oil and gas industry and appoint reseller specialists to help drive growth. IGEL Technology, the fastest growing of the top 5 thin and zero client manufacturers in the UK in 2014 with hardware shipments rising 56% year-on-year, is now looking to replicate that success north of the border. As the only major, dedicated thin and zero client manufacturer, IGEL offers a range of Universal Desktop open architecture thin and zero clients that allow customers to take advantage of the best back-end IT infrastructure for their business – whether its cloud, virtual or server-based computing. In addition, IGEL’s Universal Desktop Converter 2 (UDC2) software, which is used to convert old PCs, notebooks and thin clients into IGEL-like devices is increasingly being used to provide businesses with an easy and cost effective entry into server-based or virtualized desktop computing. Using UDC2 software, businesses can cost effectively extend the life of their current desktops to deliver a Cloud or Server-Based Computing architecture and produce a shorter return on investment when migrating to a Virtual Desktop Infrastructure (VDI) environment.